Join us for a planning session to help develop a collaborative Community Planting Program! The session will feature a presentation and discussion of a potential community planting day and an adopted a planter program. 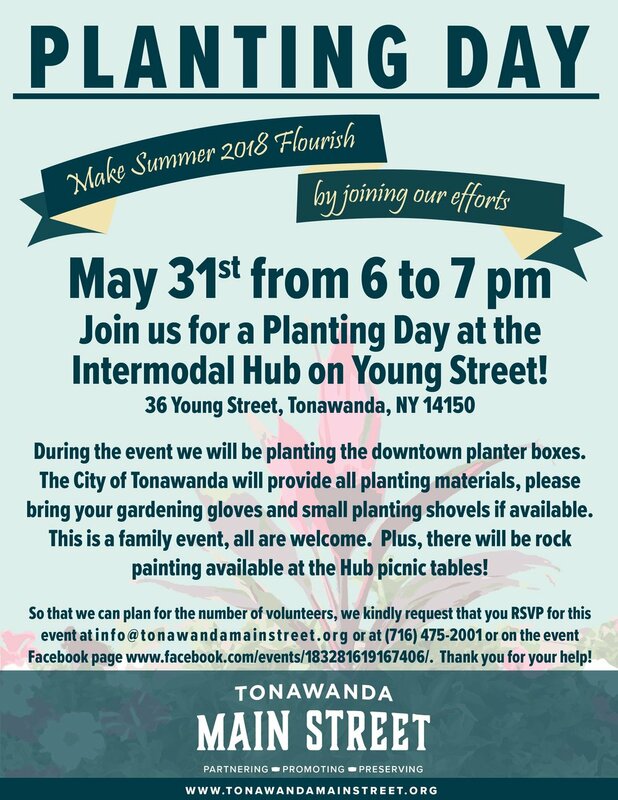 Learn about all various efforts that local volunteers, organizations, and the City's Parks and Recreation Department do to make Tonawanda beautiful and help develop new ways to work together.